A world away from the Atlantic coast, some of America’s mythic frontier towns have bizarre stories to tell. The Swiss writer Alex Capus goes in search of the extraordinary chapters from the past of the small-town Midwest. Walking in the footsteps of bank robbers and grave diggers, desperadoes and Indians, brewers and child brides, Alex Capus visits the shells of the disused mining towns that sprang up with the gold rush in the Midwest. 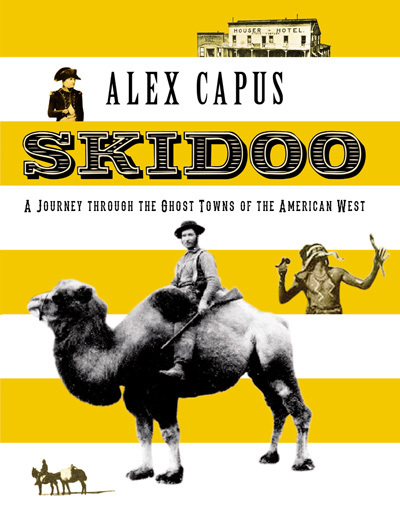 On his journey Capus discovers stories that are a match for any Western – near Salt Wells an American inventor once froze to death in the desert and was discovered with an icicle hanging fro his nose; in Skidoo a brawling bartender, Hootch Simpson, was first hanged by the mob, then by the law, before being beheaded during his autopsy; and in the town of Flagstaff, Capus finds that the legendary Route 66 was originally a trail for Edward Fitzgerald Beale’s camel corps. Charming and original, these extraordinary stories vividly bring to life small towns that have long since been abandoned. Alex Capus is a French-Swiss novelist who writes in German. His internationally best-selling novel Leon and Louise was longlisted for the German Book Prize in 2011. Haus has also published A Matter of Time, Sailing by Starlight: In Search of Treasure Island and Robert Louis Stevenson and Almost Like Spring.